If you don’t want one of the standard design that we offer you also have the option of having your own personal image reproduced. 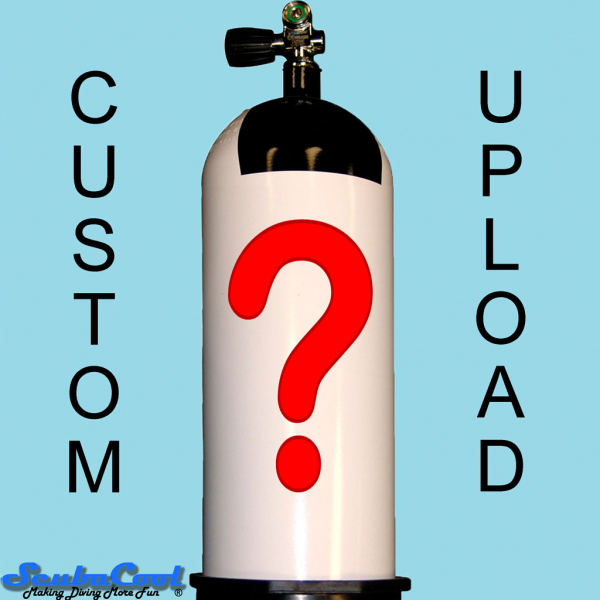 Your Imagination is your Limitation, all you need to do is choose the CUSTOM UPLOAD option in the shop, and that will allow you to send us your design or designs and these need to be sent as a .jpeg file so it can be sized to fit your dive cylinder. Please remember the better the quality of your image the better the results from us. If the file is too small and we enlarge it stands the chance of pixilation and become unusable, we’ll let you know once we’ve reviewed it. PLEASE NOTE: We reserve the right to refuse to reproduce any design that may cause offence.